Understanding Sitecore SXA: Why SXA? Traditional Sitecore implementations have always been a “custom build” proposition. And with each custom build often comes a different approach and methodology. How can organizations overcome the cost, time and stress involved with a fully custom build? Once regarded as a “small site” tool, SXA has evolved into an enterprise-class framework. Organizations can embark on projects large and small, secure in the knowledge that best practices are already baked into the solution. When leveraged to its fullest, SXA allows organizations to redefine the process for building and maintaining sites, in a way that shortens timelines, reduces reliance on development, and promotes team collaboration. Projects are accelerated by utilizing a toolbox of pre-built components, and by embracing a compressed project cadence that promotes collaboration and brings the work of many teams into a more parallel arrangement. With SXA, Sitecore itself becomes central to solution development as well as content development, bringing together the visual and UX designers, content creators, back-end and front-end developers. Serving as the wireframing tool, SXA allows content creators to develop content and construct pages in a wireframe mode, as designers and front-end developers style the site in parallel. These “themes” are applied iteratively to content being created in flight. With development and content being developed in parallel, project timelines are shortened. Unexpected conflicts are uncovered as design meets real world content, allowing adjustments to be made sooner, with a less regressive remediation cycle. In a multi-site environment, content and presentation can be shared across sites, streamlining development as additional sites are added. Much of the classic development cost for a typical site can be avoided, by leveraging the impressive set of components that ship with SXA. Many tasks once relegated to developers and requiring code deployments are now accomplished in the Sitecore UI and simply published. Page editors have more control over the styling and composition of common presentation components, freeing developers to focus on domain-specific custom features. SXA’s framework, with strong separation of presentation from design, promotes multi-site development with heavy re-use of components, further lowering development cost. SXA allows organizations to start with a strong foundation, using a fully supported and tested framework that makes the entire process more reliable and reduces rework. Solution structure is consistent across sites, making development more predictable and allowing developers to switch between projects with less ramp-up time. Developers are relieved from mundane tasks, allowing them to focus on more interesting challenges, while content creators are freed from reliance on development to achieve commonplace requirements. Having fewer code deployments reduces friction and removes barriers to content publishing. Upgrades become more approachable, because less coding means fewer regression issues to remediate. Understanding Sitecore SXA: What is SXA? Marketers and technologists often struggle with complex implementations. Faced with a dazzling array of new technologies, organizations everywhere are trying to develop a roadmap that fits the right technologies with their business objectives. But as many have learned, the road to success is often bumpier than expected. SXA delivers key features out-of-the-box, shifts development away from coding and into UI, and provides a reliable framework for execution. Projects can now start with a fully-baked scaffolding, that puts mobile first, separates presentation from content, and already contains a host of presentation components. In addition, key features like url management and search are already incorporated, and the execution methodology is clear and well understood. Consistent structure of content reduces guesswork. Start with a stable solution that is poised to grow as needed. Most of the commonly needed components are ready to go, right out of the box. No need to invest in a separate search technology for many common search requirements. Multi tenant and siteHost multiple sites in a single infrastructure, with selectively shared content and cross-site link management. Content editors have more control of layout and appearance. Renderings can be tweaked, extended or created without having to wait for development. Content pages can be developed in a wireframe mode, and style can be applied is it becomes available. Best practices (“Habitat”) baked inAvoid costly strategic errors in new projects. Coders are immediately familiar with existing projects. Extensive component suiteNo need to develop commonly used components. All pre-built components can be styled, extended or replaced as needed. Fewer technologies to maintain, fewer integration points to fail. Less infrastructure to maintain, better re-use of code, and consistent deployment strategy. Developers focus on new features and capabilities, rather than tweaks to existing artifacts. Fewer regression bugs. Front end developers can see real-world instances of their design by switching completed pages into their custom theme. Understanding Sitecore SXA: Which Way to Go? When is SXA the right course for a project, and when is a conventional build the right way to go? The answer is, “it depends”. For smaller projects, where a conventional Sitecore build was too large an undertaking, SXA changes the equation by reducing the build time and technical burden. Customers building smaller sites can now reap the benefits of Sitecore’s engagement and marketing automation capabilities, instead of limiting themselves to a less capable CMS tool. For large enterprises that face a range of challenges, the choice between SXA and a conventional build becomes more nuanced. In a development-lead culture, or where heavy functional functionality is required, a conventional build may be best. But SXA is a viable, even desirable, choice for organizations experiencing a digital transformation and orienting to a marketing- and business-forward approach. Organizations with a large amount of web presence can use SXA to “pace layer” their solutions into more manageable groupings that develop at different rates and have different orientations. SXA reduces the friction for building smaller, more nimble projects. An enterprise might have a classic build for portal or corporate sites, and an SXA model for brand sites, location sites, and campaign sites. This allows nimble execution for time-critical marketing demands, alongside a more rigorous model for times when fidelity and precision are crucial. For battle-scarred managers who have survived painful and expensive builds, SXA is a welcome relief. Those who’ve survived those rocky projects in the past would gladly embrace a more prescriptive process that starts with “best practices”. Two of SXA’s key benefits are improved project cadence and less reliance on development. Achieving these goals often means changes in roles and responsibilities. With SXA, some of the implementation work that would otherwise be done in back-end code is now done in the Sitecore UI. That doesn’t mean that code is written in a Sitecore UI, but it does mean that some things that would have otherwise required code are now either done in, or supplemented by, activities in the Sitecore UI. Once upon a time, the Sitecore UI largely insulated the person in the chair from technical “stuff”. Now, quite a bit of that technical stuff is managed in UI. Structuring components was once done entirely in code, now this is done largely in Sitecore. You’ll find yourself declaring element tags and CSS classes, creating data queries and using substitution tokens, and structuring things akin to models and markup. But just because it’s managed in UI doesn’t mean it doesn’t require a technical thinker. Although much of the methodology shifts from code to configuration, developing functionality in SXA is conceptually more akin to development than content management. Just like in coding, an understanding of what can be done and how things work, leads to effective solutioning. Your technical staff is going to change where and how they do a lot of this work, and the big benefit is that many things that would otherwise have required a code deployment now just require a publish. This will require a shift in thinking for both I.T. and Marketing. In the early days of CMS it was often hard for I.T. to accept that content management was now a production activity; now they must accept that more things that have been traditionally subjected to development protocols are now becoming production activities as well. The role of the front end developer isn’t just coding, and it isn’t just design. It’s some of both and other things besides. Since SXA is a framework that manages the methodology for developing both structure and style, the front-end developer’s work becomes part of the SXA flow. If desired, teams can use “Creative Exchange Live” to fully automate the export/import loop. Creative Exchange can be triggered by a Continuous Integration server, integrating code changes into the main branch, and to test changes early and often. Next: Which Way to Go? Many marketers and technologists have found that their perspective on a large project can change rapidly, as the level of effort and learning curve become increasingly clear. The envisioned scope, schedule and budget are all threatened, as the imagined methodology and cadence meet reality. SXA tackles this dilemma by providing a proven structure, framework, and methodology. The aim is to simplify processes, increase collaboration, shorten timelines, and smooth the path to success. Naturally, the maximum benefit is gained by a comprehensive adoption, but SXA can be used in an opt-in fashion, utilizing some of its features and replacing others with more conventional approaches. By embracing all of SXA, organizations achieve the maximum benefit that they seek from a prescriptive, out-of-the-box framework. For many organizations, however, there are aspects to the architecture or build process that need a more custom approach. Adopting SXA to its fullest doesn’t mean giving up customization. Design customization is an essential part of an SXA build. Customizing CSS, building multiple themes, and extending the client-side structure are all common activities in an SXA build. Page structure are actually more flexible with SXA than a typical conventional build. Content editors are able to drag-and-drop renderings, choose from more focused data sources, and adjust column widths. Also common is the use of Rendering Variants, to change the structure and appearance of components — without requiring code deployments! SXA’s preferred project cadence solves a common pitfall. When design collides with content, it often becomes necessary to adjust, when styling designed for best casecontent collides with real world content. In the SXA model, these collisions are detected earlier, and remediated faster than with a conventional build. In an all-out SXA implementation, the design/style/construct process is shortened, but changes from conventional expectations. Wireframes are developed directly in Sitecore. They are exported as packages with HTML, CSS and script, organized in an orderly layered stack based on themes. Designers and front-end developers then style these wireframes, by extending and modifying the CSS and script (for the most part, without changing the HTML). Their work is imported back into Sitecore, where their theme(s) are applied to the site(s) that have already begun to take on content and structure. This process can be iterative and branched. The export/style/import process can iterate, without necessitating radical changes to the existing work. In fact, Sitecore SXA provides “Creative Exchange Live”, that uses the gulp toolkit to bring design into a dev-ops model for continuous integration. Content editors continue to develop content and construct pages while the styling process iterates, shortening the project timeline and providing more real-world content to help refine the styling. Multiple themes can be developed within or across sites, allowing the same components and structures to be presented differently simply by selecting from the different themes. The compounded power of reusable components with customizable themes and development-free customization, creates a force multiplier that can dramatically improves time-to-value. SXA ships with an impressive set of components that cover most of what the core of any site will need, and through the use of “rendering variants”, new renderings can be created without requiring coding. Using these components out-of-the-box means (for the most part) working with the HTML as provided and styling entirely with CSS and script. An implementation can replace the HTML of all or some of these components and add new ones, but this requires requires a back-end development process more akin to a conventional build. Custom HTML is cut up and used as prototypes for c# developers to create new views, which replace default views or are registered in SXA as new components. Changes to the HTML require code deployments after a round trip through this back-end development process, which can slow concurrent content development. Today’s marketing technology landscape has become a “field of dreams,” offering a dizzying array of platforms, technologies, and strategies. Marketers are eager to make their own dreams a reality, utilizing these tools to achieve the promise of true customer engagement. Two things become quickly apparent. Actually living that dream means changing business as usual. Understanding how to execute is the difference between a dream and a nightmare. Adopting a powerful technology like Sitecore can be overwhelming. A knowledgeable partner knows the landscape can guide a successful implementation, but a complex implementation can be a long and trying process. By combining a suite of pre-built components and user-friendly tools that smooth the learning curve, SXA gets projects off to the right start and streamlines execution. Throughout and beyond the initial project build, much of the work of modifying layout and even building new features is shifted to the Sitecore administrative interface, meaning many things that have historically relied on cumbersome code deployment processes can not be achieved with a mere publish. Time-to-value is reduced, and concurrent team collaboration becomes a force multiplier rather than a series of tactical waves. Battle-scarred professionals know the stress and cost that can go with a fully bespoke implementation. 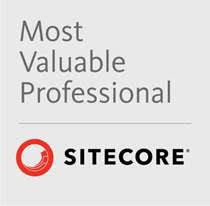 Sitecore is an outstanding platform for creating truly exceptional experiences. But implementations can be drawn out, owing to the highly linear nature if a conventional build. Nervous stakeholders don’t see progress, and the seeming vacuum created by the isolated development process begs to be filled with new ideas and changes. A classic linear build relies on handoffs of phases of the project: from user experience to information architecture to wireframing to front-end development to back-end development to content load to UAT. Changes and fixes require looking back farther and farther in the chain, leading to regression problems and costly rework. SXA makes the process more parallel, and allows for continual adjustment and improvement that reduces the need for gated, painstakingly detailed requirements. After primary envisioning, Sitecore itself becomes the hub around which the project revolves. Ongoing UX and content load begins immediately, using Sitecore’s wireframe tool. As visual design progresses, front-end developers develop themes that can be applied to already-loaded content in the wireframes, which become the publishable pages. Back-end developers build new components as needed, which are available in the toolbox immediately. Most bespoke component requirements can actually be created entirely within Sitecore and styled by back-end coders, all without requiring a code deployment. Over the life of the project, stakeholders see ongoing progress, participants stay more engaged and collaborate better, issues are identified sooner, with less regressive remediation, and best practices lead to a deliverable that can be maintained and extended by anybody familiar with the framework. Sitecore Experience Accelerator (SXA) can be an absolute game-changer for how projects are envisioned, executed and maintained. Understanding how SXA will affect the design/build/maintain journey is key to knowing when to adopt. Just like in an auto race, knowing when to hit the accelerator can make the difference between success and disaster. This seven-part series will examine the what-and-why of SXA, and uncover the impact SXA can have on marketing effectiveness. If you’re facing a new implementation for the first time, or you’ve been battle-scarred from a past rocky implementations, there’s a certain allure to an out-of-the-box solution, built on best practices, containing a swath of pre-built capabilities, with a prescriptive implementation process. Learn about SXA’s promise and what it could mean for you. SXA is a Sitecore-supported framework, toolbox and methodology that helps projects get started faster, develop more smoothly, and deliver results reliably. Learn more about how SXA helps overcome many of the conventional hurdles faced by Sitecore project implementers. Adopting a powerful technology like Sitecore can be overwhelming. Implementations are rocky, solutions become unmaintainable, and the high-return “phase 2” features never come to pass. Learn how SXA’s prescriptive, best-practice methodology and user-friendly tools can smooth the learning curve, get projects off to the right start, and streamline execution. Every Sitecore project is unique. Some large, some smaller. Some stand-alone, some multisite. Some complex, some straightforward. Languages, search, media, seo, visual design — any of these can raise the complexity bar. Learn how SXA can lower the barrier to entry, speed time to value, and enable continuous improvement. Digital marketers and technologists that have lived through (or are facing up to) a complex project, the unknowns of proper execution loom large. Faced with unknown complexity, the idea of a highly prescriptive methodology can be a welcome relief. That may feel confining, but SXA allows a mix-and-march approach that allows a given project to adopt all or just some of SXA’s processes. Learn how SXA allows the hard things to be hard, while keeping the simple things simple … and makes some of those hard things simpler than you thought. When moving into an SXA mindset, in addition to changes in methodology and process, be prepared for roles to be redefined or at least shift a bit. Learn more about how disciplines and processes may shift when adopting SXA as an implementation framework. Conventional build or SXA? Marketers and technologists preparing for a new site build in Sitecore have more choices than ever before. SXA offers a real alternative to the classic build approach, bringing with it both advantages and challenges.